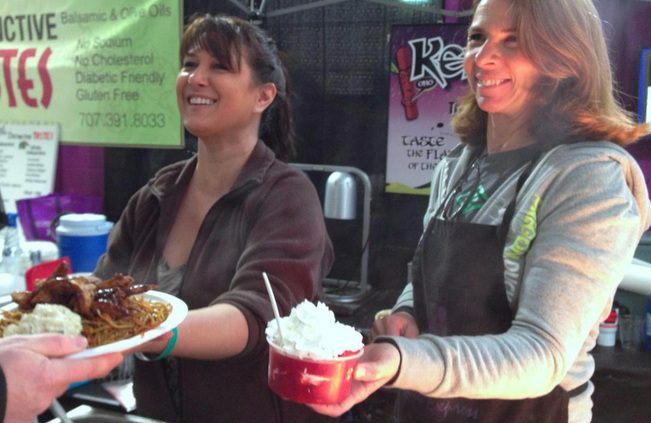 Keli’s Hawaiian Grill is serving up delicious teriyaki chicken, yakisoba noodles, rice, egg rolls, and pot stickers at the 33rd Annual 2015 Astoria Warrenton Crab, Seafood, and Wine Festival. If seafood isn’t your thing check out are delicious Hawaiian inspired chicken and yakisoba noodle plates. If you can’t make it to the Crab and Seafood Festival this year you can try our foods at the Astoria Sunday Market. Keli’s Hawaiian Grill will be serving up a healthier and improved version of our traditional fare every Sunday until October. Keli’s Hawaiian Grill will feature delicious organic teriyaki chicken, served with your choice of yakisoba noodles or organic white rice. The Grill will also be serving up local veggies and of course everyones favorite teriyaki sauce. We hope to see you at the 2015 Astoria Sunday market! Come join us for the 33rd Annual Astoria Warrenton Crab, Seafood and Wine Festival. Enjoy great coastal cuisine, arts and crafts, wine tasting and more! Like always, Keli’s Hawaiian Foods will be there serving up our signature Grilled Teriyaki chicken with our world famous Hawaiian Teriyaki Sauce. Don’t miss our delicious yakisoba noodles, rice bowls, gigantic strawberry shortcakes, pot stickers and much more. Keli’s Hawaiian will be located in the food tent so stop by and check us out! The Astoria Warrenton Crab, Wine, and Seafood festival is a great event where locals and tourists from around the Pacific Northwest get together to drink wine, eat seafood and enjoy great music! If you mention you saw this blog you will get a FREE order of pot stickers! Keli’s Hawaiian Teriyaki Sauce is Going Organic! The team at Keli’s Hawaiian Gourmet Sauces has been working hard behind the scenes developing the next line of Keli’s Sauces. We have listened to customer feedback, and have developed a 100% organic line of sauces that tastes amazing! Don’t worry, we will not be changing the ingredients on the original sauce line. As you can see above, we have designed a new logo for the sauce line and have been busy taste testing different flavors. We think we have produced the best tasting organic teriyaki sauce on the market! If your interested in our healthier line of products please sign up for our mailing list so we can keep you updated on our product launch. The first couple recipes have been finalized, the label has been designed, and we are now waiting on the factory to begin manufacturing. If your interested in healthier options, then we have the sauce for you. We should have our new organic sauce lined released to the market within the next 45 days. Check back often for updates. https://www.trykelis.com/wp-content/uploads/2016/06/7834032.jpg 376 605 Seth Morrisey https://www.trykelis.com/wp-content/uploads/2019/01/logo-new.jpg Seth Morrisey2015-04-09 06:58:562016-06-23 06:59:38Keli's Hawaiian Teriyaki Sauce is Going Organic! The popular Youtube review channel Fire Breathing Idiot aka Ted Barrus did a review on our Pele’s Fire Teriyaki Sauce. Ted has many reviews online but primarily his specialty is hot sauce. We are excited to announce that Ted loved our Pele’s Fire Spicy Teriyaki Sauce. Unfortunately, the video was made before our name change, but the recipe is still the same. Watch the Fire Breathing Idiot’s rave review of our newest sauce Pele’s Fire. Claim your first bottle our latest hit sauce Pele’s Fire Spicy Teriyaki! 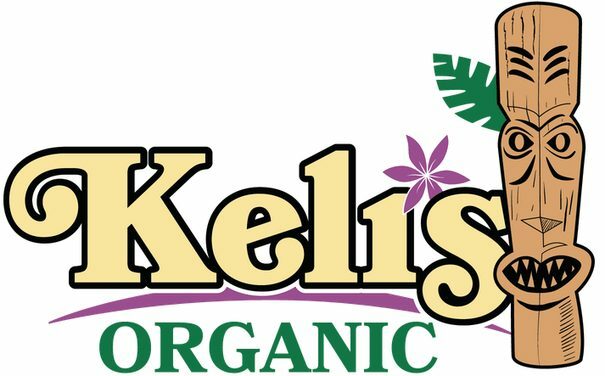 You can order online at the link below or visit our Retail link to find a Keli’s retailer near you. Remember, this is not for the faint of heart! Can you handle the heat?